I may not be able to answer some age old questions like, .. which came first, the chicken or the egg, or why does toast fall butter side up, but there is one question I CAN help you with. Which cleansing balm should I choose? The market has been awash with many balms, all good in there own right but when you have the choice between Emma Hardie or Elemis, which on is better? Today hopefully I will help you decide.. I think you would have to be blind not to see the similarity between these two. Both same colour and a oil/cream hybrid. Texture wise they are a little different, but not much mind you! The Elemis is a silky smooth dense balm whereas the Emma Hardie is a little lighter and has a slight grainy feel when first applied, I think this is something to do with the Moringa seed extracts that inhabit the balm. The grains do disappear instantly after massaging it in and the texture in then on par with the Elemis, smooth, luxurious, with an almost oily feel to it. I would say that the Elemis has a more oilier texture than the Emma Hardie, more of a heavier feel to it. Both balms remove make up like a dream, instantly dissolving all traces without leaving the skin dry or with an oily residue. Both leave the skin silky soft and plumbed with goodness. The only thing that differs is the Elemis is not great used over the eyes, it can sting a little and doesn't bode for a nice experience, it doesn't leave your eyes feeling like a burning inferno but none the less not a great sensation. The Emma Hardie balm can be used all over the eyes to remove mascara and eye make up but some waterproof mascaras may need another product to remove them more effectively. This is where they are miles apart. Elemis has a strong spa like smell to it, very rich with essence of Rose and Elderberry, a deep fragrance that oozes with luxury. Emma Hardie is lighter with a herby and fresh aroma to it containing Orange, Mandarin, Rose and Wild Sea Fennel. The scent to down to personal choice whether you like something strong or a little lighter. If I was doing this review a couple of months ago the point would have gone to Elemis. 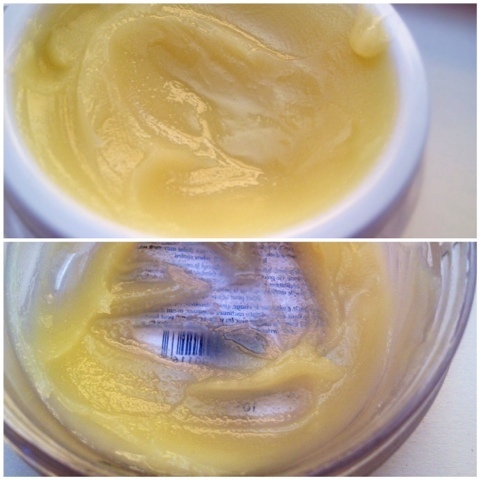 The packaging for the Emma Hardie balm has been its let down ever since its release with it leaking and generally being a pain , but the product has now been re-packaged and I have had no problems with it so far. The tub for the Emma Hardie is deeper than that of the Elemis and can make obtaining the product when its running low a little bit more difficult. Both are packaged lovely, the Elemis comes with its own flannel whereas you have to purchase the Emma Hardie muslin cloth separately. I think this is a bit mean of Emma Hardie and don't see why they couldn't have included one for the price you are paying. Price wise they are both in the same high end price bracket, Elemis is £39.50 for 100g and Emma Hardie is £34.00 for 105ml, but you do get a cloth with Elemis. Its slightly cheaper even thou you do get a flannel with the Elemis, I have plenty of flannels. I find the lighter texture more suitable to my combination skin. For drier skin types the Elemis balm with its heavier consistency my feel better and more nourishing on the skin. The fact I can use it on my eyes, making my night time routine I little quicker and easier. So there you have it, the run down and low down on both products. 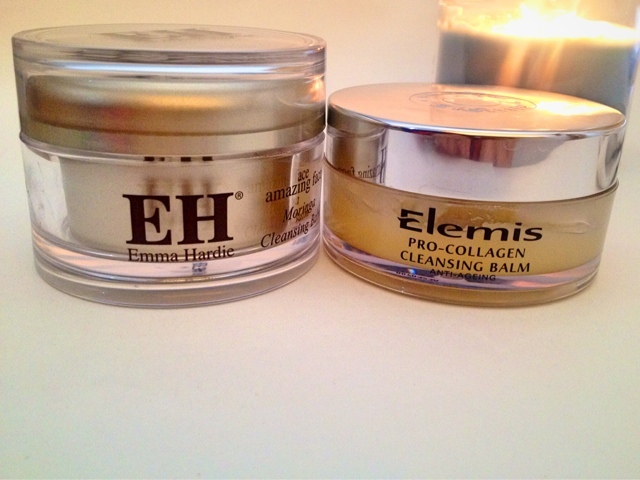 Which is your personal choice, Emma Hardie or Elemis? Elemis all the way! I love their products so much. They always seem to make the appearance of my skin 10 times better. Interesting comparison though! I did a post on face balms too on my blog "Battle of the Balms" you must try the elemental herbology one i mentioned its gorgeous!